V-Neck Tunic Just $9.99! Down From $25! Shipped! You are here: Home / Great Deals / V-Neck Tunic Just $9.99! Down From $25! Shipped! This deal expires on February 1! Hurry over to Jane where you can score this Essential V-Neck Tunic for just $9.99 down from $24.99 PLUS FREE shipping! 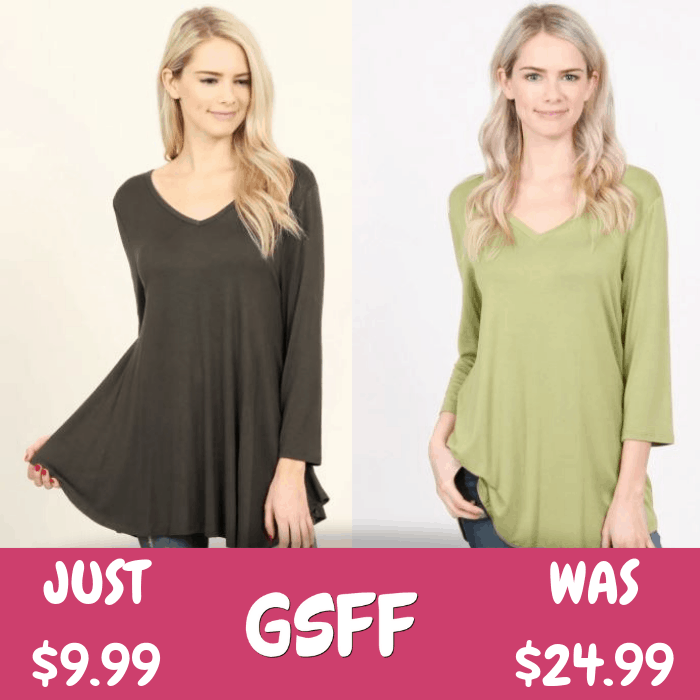 It’s time to stock up these essential long sleeve v-neck tunics in different colors at such an amazing price! Soft, comfortable, stretchy, flaring, get as many as you think you would need!